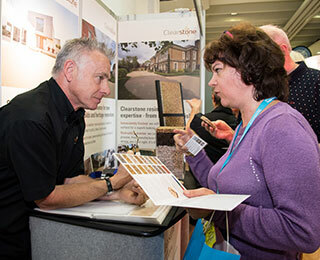 Clearstone had record numbers of visitors to their stand at the June 2016 Surrey homebuilding and Renovation show and have lots of enquiries to follow up! 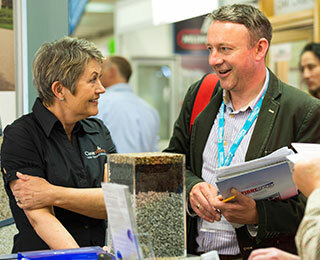 It was good fun to meet so many homeowners with new build projects and who where interested to find out about the resin bound paving system, as a product and solution for their future driveway. If you want to self build your own home, the homebuilding site has lots of advice on everything there is to know — from how to design your new house to planning permission and project management, to guides on finance and costs. 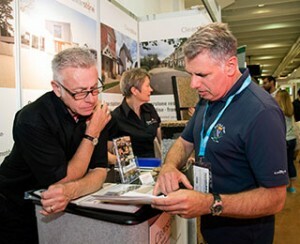 Also numerous companies and products available to choose for your new home. Clearstone offer a full service for your driveway. We can dig out the foundations, install your edgings and MOT sub base, along with the porous asphalt, onto which we lay the resin bound finish. We then can offer a 10 year guarantee for your peace-of-mind on the whole installation. 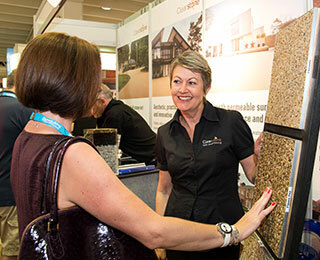 Visit Clearstone’s page on the homebuilding sourcebook directory to find out more about using us to install your driveway.